The people who use to live nearby the forest areas to protect their families and cattle from the wild animals practiced hunting in the past. As the time changed, it has taken a form of sports that is being practiced in most of the areas all around the world and many people and companies possess hunting license too. Nowadays, hunting is not only practiced to kill animals but also keep a check on their habitat and the maintenance of the biological and social environments of the animals within the prescribed limits. The hunting is done on many wild animals but Andy Wulf masters in the hunting of Whitetail Deer and has a licensed hunting company too. Most of the people go for hunting for the first time and they think that the sport of hunting is just to kill the animals. However, in the recent years, the scenario of hunting has changed due to many laws and regulations made by the government and the limited areas given for hunting. · Attending the courses on hunting - The initial step is to know about the skills to carry out hunt and its nature too from a professional in this field. It is very important for the hunter to understand the wildlife and the hurdles they will come across during the game of hunting. For this, there are many hunting educational courses organized by the experts that one should attend. 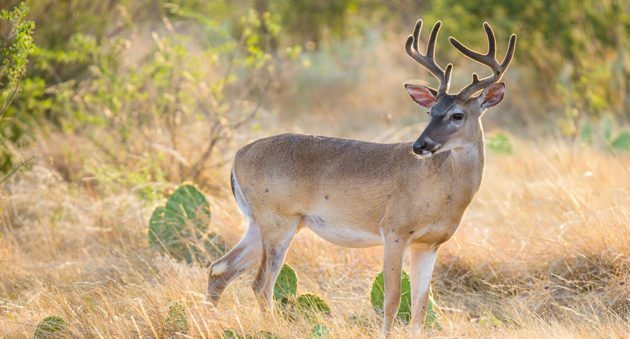 · Acquiring the hunters’ license - The second most important thing is to acquire the license from the local or state government for hunting an animal. It is prescribed on their lists about which animals to hunt down and is legal. · Necessary weapons required for hunting - The first timers have to find related weapons like guns or bows that will be suitable to kill an animal they want to hunt down. They should also take skilled training to operate these weapons in the best way. · Dedication and Discipline - If you want to become a proficient and an expert hunter, it is mandatory to be disciplined in the sports and follow the required techniques. Moreover, dedication from the hunters’ side is also required to spot and kill the animal that they desire to hunt down. · To find relevant hunting company - Many companies possess the license of hunting like Whitetail Ridge Outfitters, owned by Andy Wulf, provide guided and mentor service to new hunters. They also provide you with the prescribed limited area for hunt by the local government. Lastly, it can be seen that with the help of proper guidance and polishing of the hunting skills, one can get expertise in this field.